Edna parked across from the Floyd Country Store. 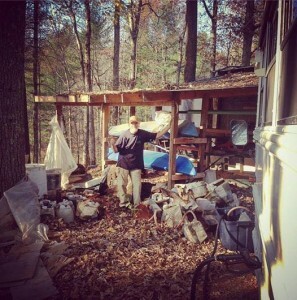 Almost a year ago, a couple wrote a comment on this here blog offering a couple hundred gallons of waste vegetable oil that they had laying around their homestead in Ferrum, VA. I took note of it, and placed a star on my Google Map right on Ferrum. 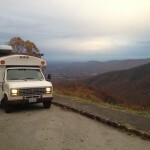 A month or two ago, as I was planning this trip south along the Blue Ridge Parkway, I noticed the star and remembered the offer. Rick at Ojai Farm shares his waste vegetable oil abundance. When I showed up at Ojai Farm, Rick was there to meet me. A fellow tinkerer, builder, and homesteader, we got along immediately. So much so that he invited me to stay for a few days. Talking to him and his wife, Lori, showed me that they had been practicing the sharing economy that the Free Tea Bus is spreading for decades. 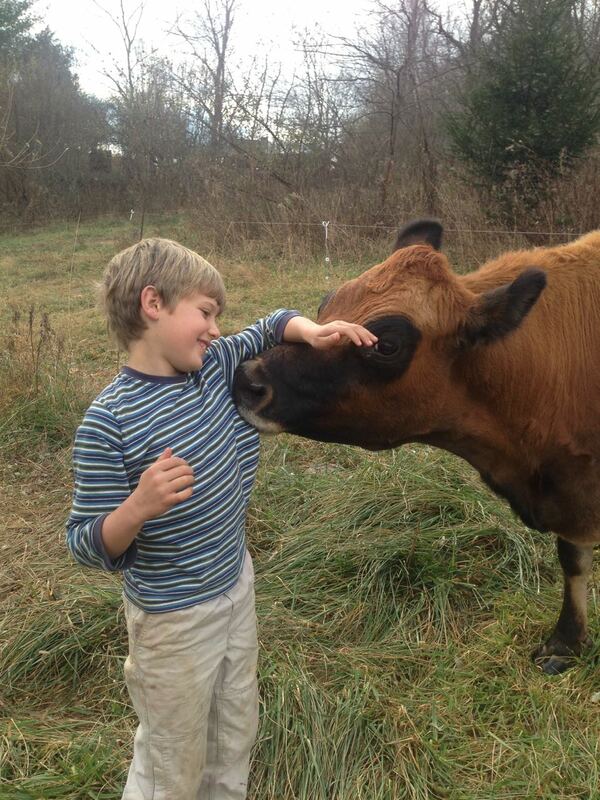 They share with their neighbors and family, whether it’s food or herbs or land to hunt on. In fact, in the few days Edna and I were there, they shared an incredible amount of food, herbs, firewood, vegetable oil, water and more. Their food and herbs were homegrown (even some citrus! ), their firewood was dry, their well water was some of the best I’ve had, and their vegetable oil was settled, dry, and non-GMO. Rick and I chatted about life on the farm, the necessity of real skills, how land needs people. We chatted about his life working in bioremediation, and about his daughter’s vegetable oil-powered RV that now sits still on the property. In the evenings, he would cut me fresh greens, pull up a folding chair by my bus and his greenhouse, and pour us each a glass of wine. I’d tell him about my desire to teach real skills and to help people fix and build things wherever I go. We would talk until dark. Edna parked at Ojai Farm in Ferrum, VA. Dancing at the Friday Night Jamboree at the Floyd Country Store. One day, he told me I should visit Floyd. I’d heard of Floyd, and a young fellow who works around Rick and Lori’s place suggested I head down on Friday evening for the Friday Night Jamboree, which happens every Friday, all year long. 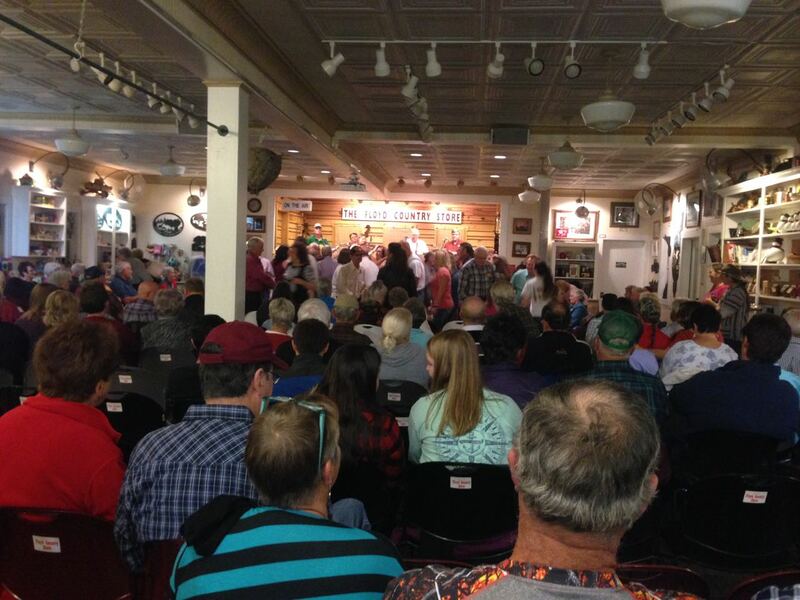 It revolves around live music and dancing at the Floyd Country Store, but spills out into the streets as jam sessions and wanderers. It reminded me of my childhood growing up at music campouts around the Pacific Northwest. On Friday, I showed up downtown and opened up the bus to serve tea. It was very slow at first, but slowly people started to trickle into town, and onto the tea bus. 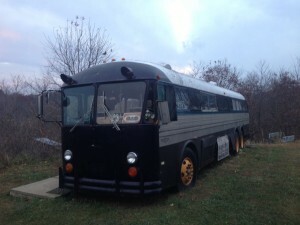 By the reaction of the folks that came by that night, I knew that the bus would be a hit. Folks were receptive and sharing (I even got a cake given to me). 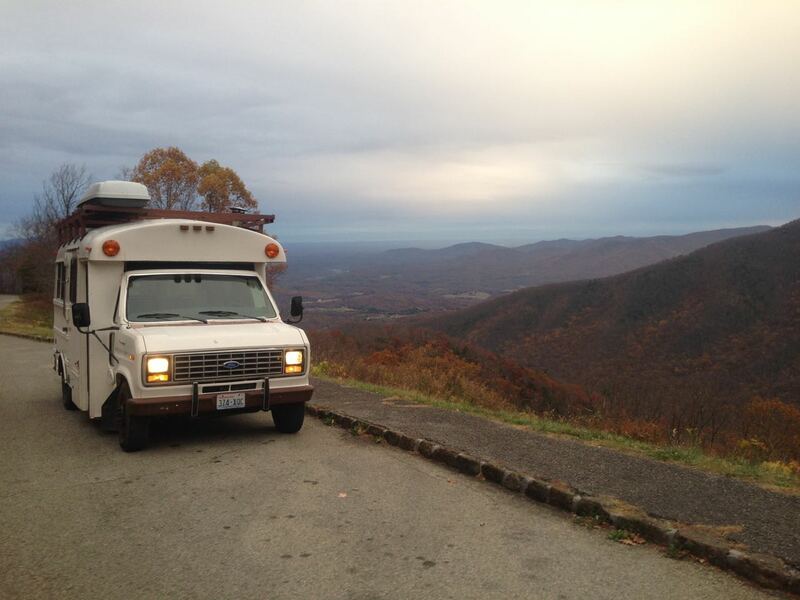 Edna on the Blue Ridge Parkway on her way towards Floyd. I had written to the farmers’ market manager, Agatha, and she was excited to host the tea bus at the market the following morning. I slept right there on the street. The market started with gifts of cinnamon rolls and scones, and offers of breakfast tacos. I felt at home amongst the sharing. When I started serving tea, the bus became inundated with people. After a summer of minimal tea serving, it was nice to have such curious folks to share tea with. Not only were they receptive, but they were reciprocal too. I was offered places to stay, Thanksgivings to eat at, food, and so much support. I began to immediately feel at home, and very taken care of. Super engaged kids at Springhouse Community School. The next week started with an invite to serve tea at Springhouse Community School. 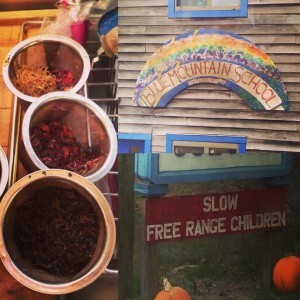 Located at an ecovillage, this school offers a unique education for middle and high-schoolers that includes hands-on learning, connection to the earth, and more. I gave a short presentation, and had several groups come onto the bus for tea throughout the morning. It was refreshing to have so many kids who are interested, engaged, and bright. 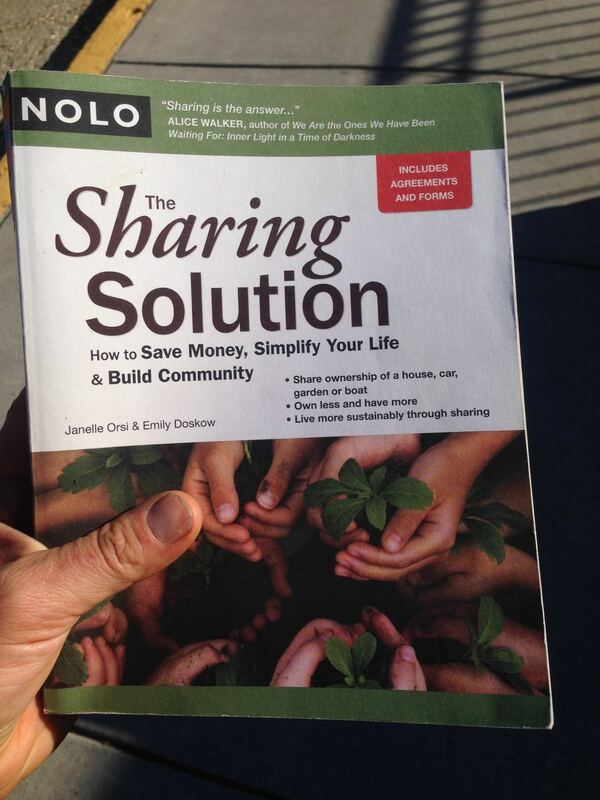 We talked about the gift economy, using waste vegetable oil as fuel, and much, much more. Thanks for the invite, Jenny! Plenty! 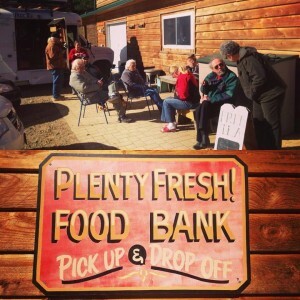 Food bank and farm. That afternoon, Edna and I went on down the road to Plenty! 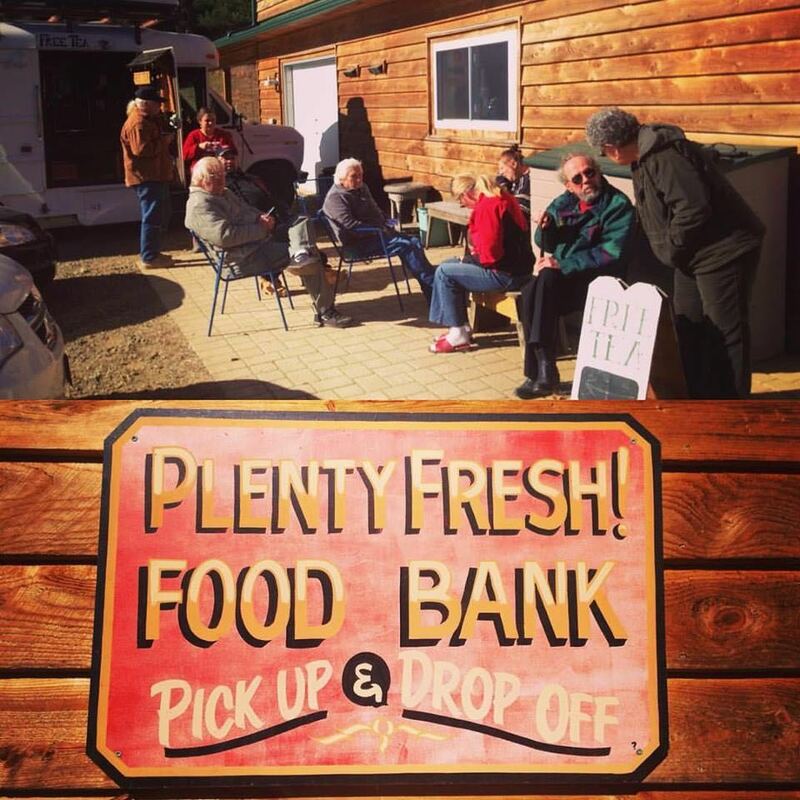 – a food bank that not only distributes donated food, but grows lots of food onsite at their farm to share. They also have community meals. 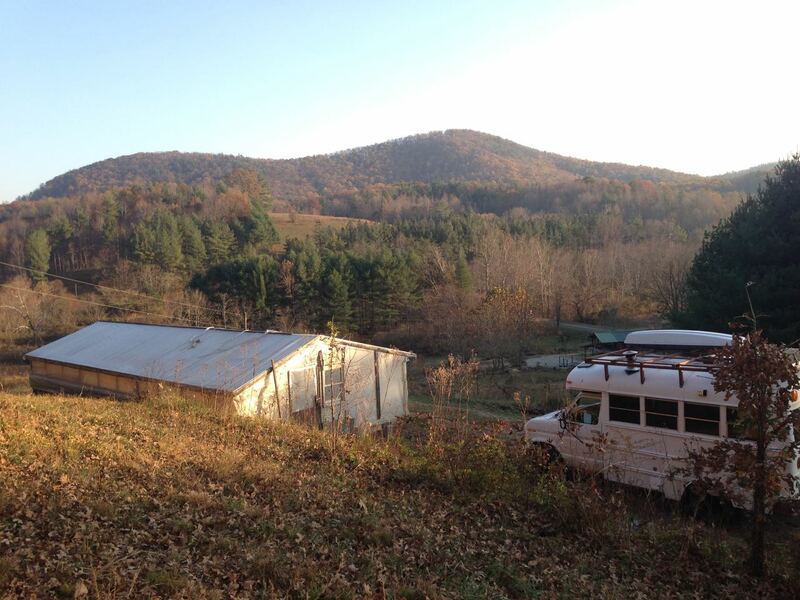 Their only criterion for people who come: they have to live in Floyd County. There’s no income verification or anything. This is because they offer food and community to all, no matter who they are. We served tea for an afternoon while folks came to get food. Almost everyone who came for food came and got some tea. It was fun to have people of all kinds come aboard and chat for a bit. Towards the end of the day, the employees made sure that I came in and they loaded me up with food, from fresh veggies to home-made soups, to donated food from the grocery store. So much generosity! The next day I spent at Blue Mountain School – an elementary school that takes a holistic approach to educating kids. These younger kids are fun because most of their interactions in life revolve around sharing (they don’t interact with money much), so our conversations are much more reinforcing of what they already practice. I love how much kids get the whole sharing things (before they’ve become so indoctrinated with hyper-individualism and selfishness). They invited Edna and I next door for their Thankful potluck at a church that allows them to use their playground and facilities. Part of the potluck is food (y’all know that my basic philosophy is that LIFE IS A POTLUCK! ), a play, and then it’s finished off with everyone grabbing rakes to clean up the leaves for the church. This is how reciprocal altruism (traditional human economy/non-calculated exchange) works. The church offers their resources for the school simply because they want to help them, and then the school decides to rake the leaves because it needs to be done every year. Thanks for being an example, Blue Mountain School! 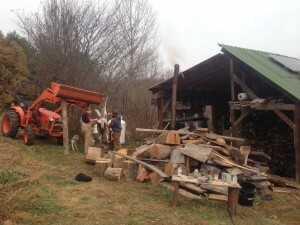 Butchering a deer at Left Bank. Throughout the week that I ended up in Floyd, I stayed at folks’ homes, like the Finn’s and the Gimsley’s. I was absorbed into their families. I hung with their kids and ate food with them. At the Grimsley’s I was showered with food. I helped cut up a deer, and lent my pressure canner to make the canning process faster. They gave me amazing kiln-dried scrap hardwood from a nearby lumber mill. They offered me milk, lard, chicken’s foot broth, canned deer, deer stew, and more. I was in heaven! As they prepared for their thanksgiving feast, I hung with the kids to give them space and time. The kids became my entourage, taking me on walks, feeding apples to the cow with me, and spending time on the bus with me. 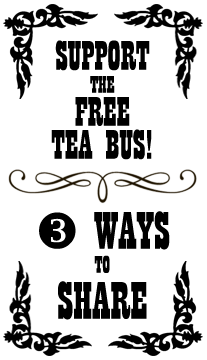 At the Finn’s, they are creating The Honestary – a place for young adults to come to get honest with themselves, while being offered some support (a place to stay that’s not their parents) in exchange for some work around the homestead. I actually lived on the same street as these folks at the same time in Colorado Springs, CO, as I went to Colorado College, although I never met them. In fact, two Colorado College grads stopped by when I was there, one of whom had had tea on my bus in Arcata, CA when he was on a bike tour of the west coast about 4 years ago. An old school bus at Left Bank. This was not uncommon in my stay in Floyd. I ran into all kinds of folks I had met before, had served tea to, who had mutual friends, etc. One woman had had tea on my bus on Orcas Island in WA. Another fellow told me he was from Kalispell, MT, and when I asked if he knew my friend The Egg Man, he replied with, “The Egg Man?!? I just played music with him two days ago!” Lucky for me, I was able to hand off a gift to The Egg Man to be delivered to him that I had been carrying with me for the past 5 years or more. It just so happened to be The Egg Man’s birthday that day, as I found out later. My first night in town I was dancing at the Country Store when a woman grabbed me and started dancing with me. As I looked at her, I recognized her. It turns out I served tea to her on Labor Day weekend in Thomas, WV. Another woman I met later invited me to breakfast with her family and friends because her friend from Maine had contacted her to let her know that she should meet Edna and I since we were around. 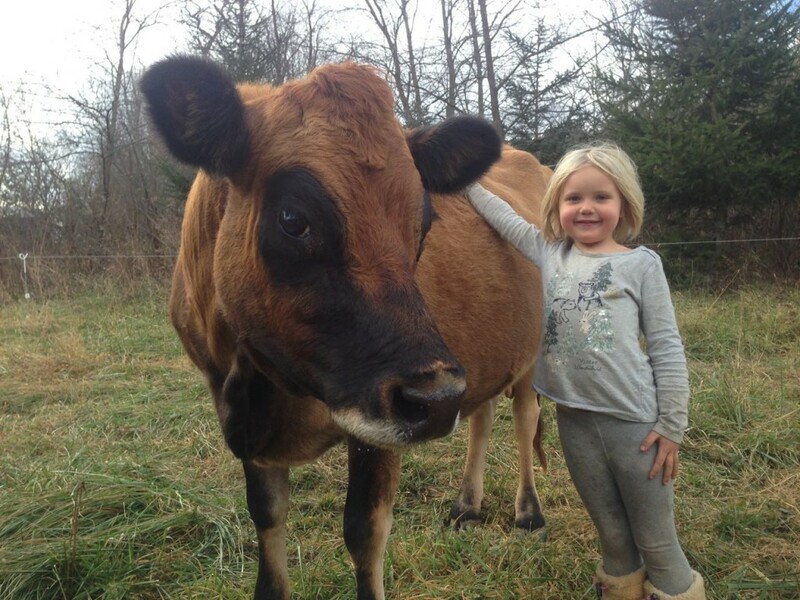 Gretel the cow and Juniper the human. Thanksgiving took place at Left Bank, the community where the Grimsley’s live, which is collectively about 500 acres of folks that live in community together. Everyone owns their own piece of land, but there is also a chunk of collectively owned land. It’s a collection of good folks growing food, sawing lumber, raising animals and children, and more. There’s kids that get to hang with each other, and they have the freedom to roam around a lot, like kids should be able to do. 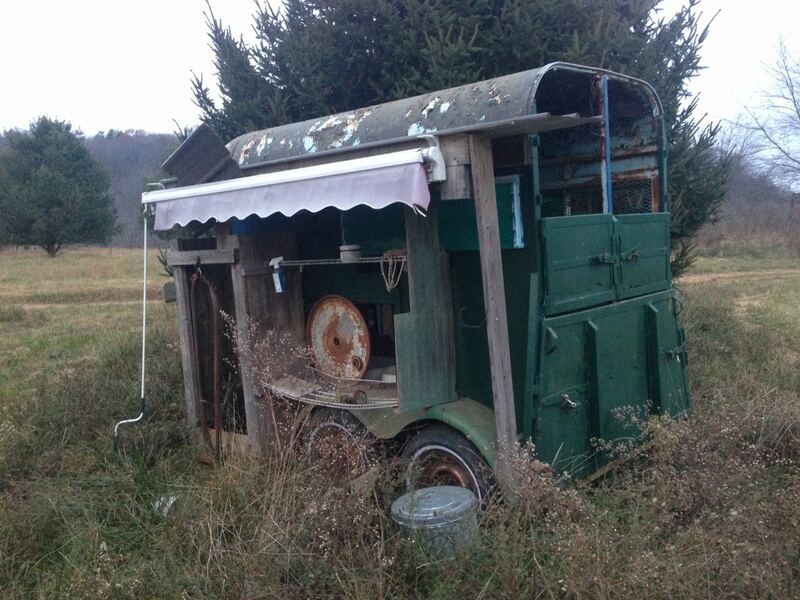 Agatha’s old mobile milking trailer. The Left Bank Thanksgiving is an invitation to many, many folks, and whoever shows up shows up. People bring all sort of delicious dishes – with lots of home-made, home-grown, home-raised food. The meats were delicious and local. I love this kind of Thanksgiving, as it represents the Sharing Economy so well – everyone pitches in in some way, sharing openly with their community. There is no profit maximization happening here. As any good community gathering, this is a multi-generational gathering, with kids running around and playing and old-timers sharing stories. The night ended with a jam session of kids and adults together. 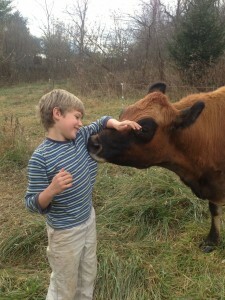 Otis and Gretel the cow at Left Bank. The last full day I spent in Floyd was a really exciting, as it was a tour of various places and people’s homes that I had been invited to. The curious thread that tied them all together was the fact that I was served tea everywhere I went all day long! My day started with a knock on the door from Agatha at Left Bank with a hot steaming cup of sweet Earl Grey (my fav!). At Ellie and Jed’s, I was offered tea and waffles. Down the road at Matt’s place, I was offered some copper pipe and junk I needed for some projects, and served tea and cake afterwards. At Spikenard Bee Sanctuary, a biodynamic farm/bee sanctuary, I participated in a “stirring” (stirring composted cow dung in water and spreading it around the land), which I would call a “compost tea.” I was also gifted some Bee Tea (both for feeding bees, as well as for humans to drink) and some smoker fuel, both made from biodynamicaly-grown herbs produced there on the farm. This place is truly amazing, and is deserving of more words than I can give it here. If you’re interested in bees, biodynamics, and seeing humans’ role on this earth as larger than just producing for humans’ sake, this is a place to look into. My final stop of this day was back at The Honestary (the Finn’s), where they served me up one last cuppa hot tea, and we reflected together on my time in Floyd. 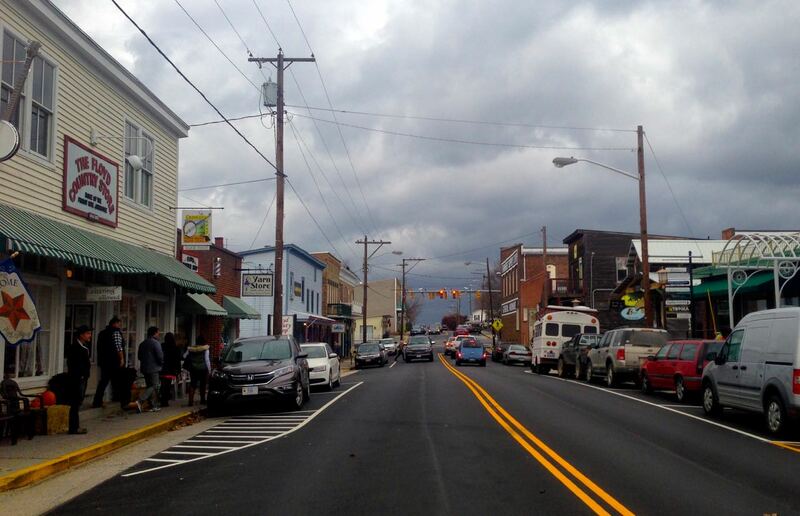 My time in Floyd, VA was marked with more generosity than I could imagine – food, firewood, herbs, water, and even a local doctor that saw me for free. I had only planned to spend the weekend, but ended up staying over a week! I came with a full fridge and pantry, and barely found any time to eat the food I had because I was so well shared with. Now, as I leave, my fridge and pantry are even more packed! I will spend the next few days making lots of food in the forest and reflecting on this generosity. I even found this book at the Floyd Country Store. 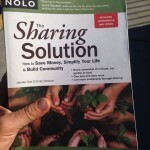 It’s a legal guide to sharing in the modern world. Specific thanks: Rick and Lori for offering a beautiful place to stay, lots of waste vegetable oil, good food and herbs, and more; Agatha Grimsley for being excited for the tea bus to come to the Farmers’ Market; The whole Grimsley Family for inviting us to stay and for sharing such good community, food, water, and space for Edna and I; The Finn Family for being inspiring, sharing, open, and so much more! ; Jenny Finn for inviting us to the Springhouse School, and for being especially kind; Liz for offering a spot to park Edna one night, and for inviting us to Plenty! ; All the folks at the Farmers’ Market who shared time and food; All the folks who invited us to stay at their place; Plenty! and all the folks who work/volunteer there; Hari for inviting us to Blue Mountain School; Blue Mountain School for having us; Matt Sebas and his family for sharing materials, tea, time, community, and a roll of half-dollars; Ellie and Jed for waffles, tea, and the medical consultation; Alex at Spikenard Bee Sanctuary for taking the time to be enlivening, enlightening, and an all around welcoming host; the woman who gave ma a cake; All the students at the schools we visited; also: Haley, Josh, another Josh, Rainbow, and more!!! This entry was posted in Journeys, News and tagged Arcata, Blue Mountain School, Blue Ridge Parkway, CA, CO, Colorado Springs, community, deer, ecovillage, Farmers' Market, Ferris, Floyd, Floyd Country Store, food bank, Friday Night Jamboree, homestead, Kalispell, Left Bank, MT, Orcas Island, Plenty!, pressure canning, Sharing Economy, Spikenard Bee Sanctuary, Springhouse Community School, Thansgiving, The Honestary, VA, WA, waste vegetable oil, water, WVO. Bookmark the permalink. 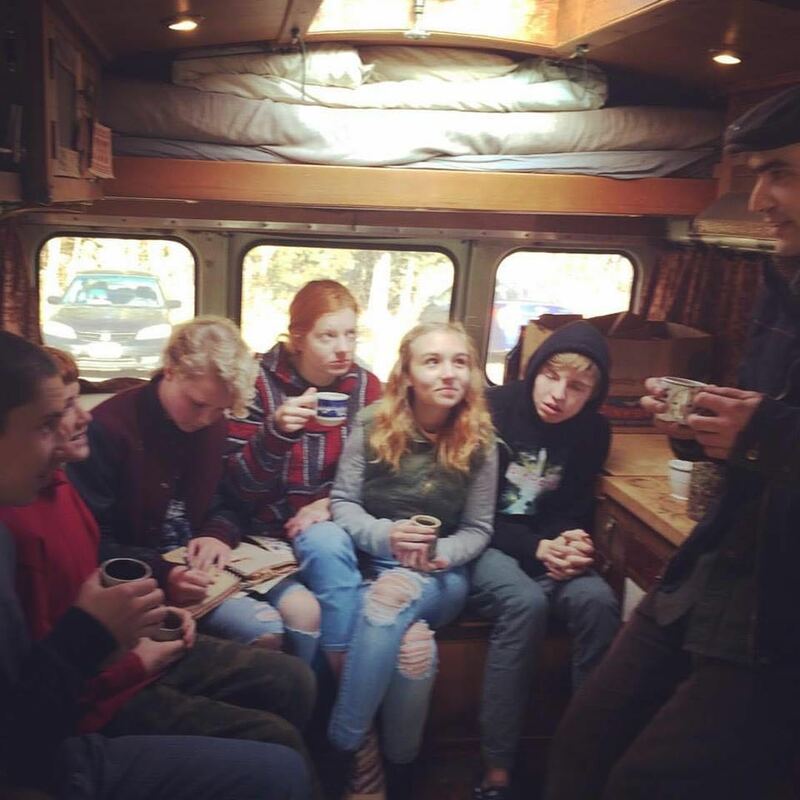 We loved having you in Floyd and hope you will come back and share your tea and great Spirit with us again soon. 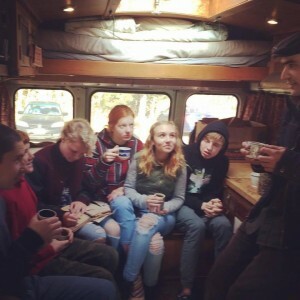 Thank you for hosting my grandchildren before dancing with them at the Jamboree and the woman who gave you the cheese cake is my daughter, Shannon, who makes those cakes for Good Food Good People and Harvest Moon….Glad you got to meet some of the sweet, talented people in Floyd on your vibe. Safe Journeys to you. So happy to hear that you enjoyed wonderful Floyd! ( friends of Kitchell’s :/)!